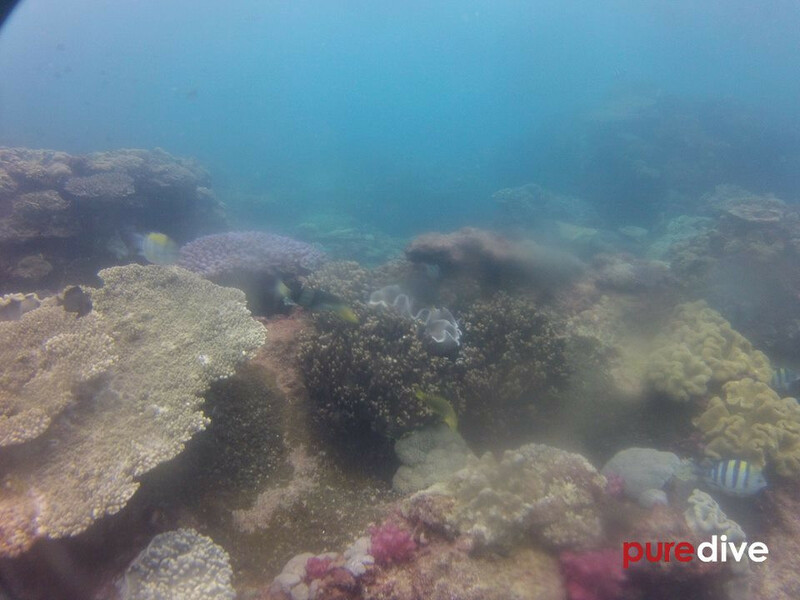 Pure Dive heads out on Sundays for a double dive on Brisbane's reef just off Moreton Island. Flinders Reef is part of the same system that created the Great Barrier Reef, and has more subspecies of coral than any other sub-tropical reef in Australia. More than 175 different species of fish make their home on the reef, including wobbiegongs, turtles, manta rays, leopard sharks, not to mention abundant shoals of smaller critters, which make this a colourful, exciting day out that's not to be missed. 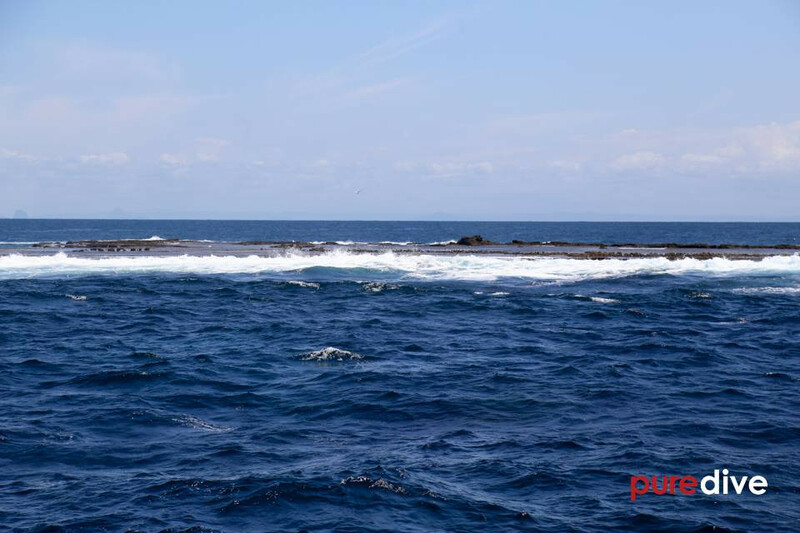 Flinders Reef is located approximately 5km off the north east tip of Cape Moreton, in the Moreton Bay Marine Park, and is the closest true reef to Brisbane. There's more coral here in one place than on an one reef in the Great Barrier Reef, and it's widely considered to be Brisbane's top dive site. A massive amount of marine life is to be found here, and in winter you can see humpback whales passing by on their migration north during your surface interval. Dugongs and dolphins can sometimes be spotted too. 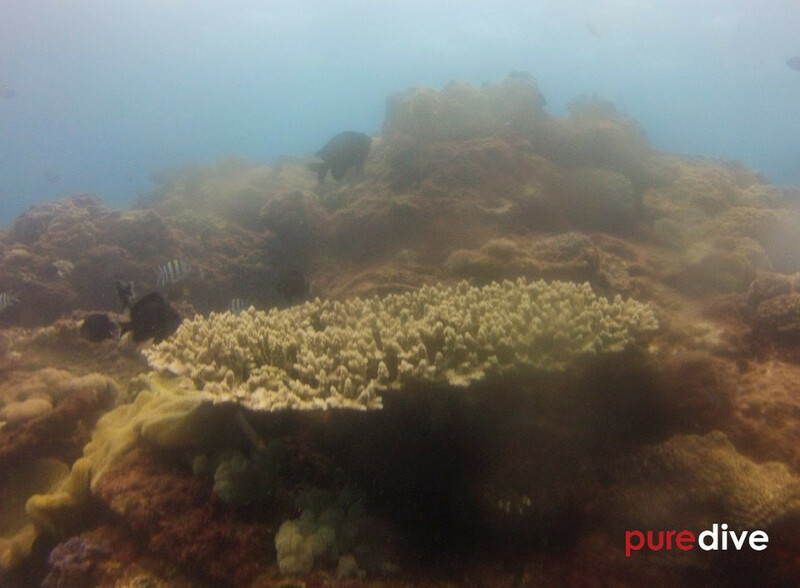 Suitable for everyone from Open Water divers and up, Flinders Reef has a range of depths from 5m to around 20m. Pure Dive dives from Supercat, a 22m custom built dive vessel, that departs from Scarborough, just north of Brisbane. Flinders is around an hours sailing from Brisbane, and the boat has comfortable outdoor and indoor areas, so you can enjoy the beautiful Queensland sunshine, or relax indoors. There's an hour's surface interval between dives, giving ample time for a cup of tea or coffee while the friendly and helpful crew fill your tanks for dive two. After the second dive, a buffet lunch is served for you to enjoy on the way home. The boat is fully licensed, and has a bar on board, so you can crack open a cold one to enjoy as you relax. If you're not yet certified, we can combine one of our Flinders trips with our Open Water courses - just ask and we can arrange this. Flinders Reef trips generally depart from Brisbane (Newport Marina, Scarborough) at 6.45am on Sundays (unless otherwise arranged), returning around 3pm. Gear hire is available where required - just select it from the box above when booking your trip. A beautiful day out on the water!